With a dramatically intact landscape of magnificent mountain ranges, majestic rice terrace fields, stunning rivers and waterfalls, breathtaking mountain passes and peaceful remote traditional villages, Pu Luong Retreat (or Puluong Retreat) is truly a microcosm of Northern Vietnam where you can truly escape from the bustling speed and the heat of everyday life. Pu Luong Retreat (Puluong Retreat), also Pu Luong Nature Reserve, is located in Quan Hoa and Ba Thuoc District of Thanh Hoa Province, in the north central coast area of Vietnam. It is about 180km away from Hanoi Capital. Biodiversity value in Pu Luong is wonderful with the rich flora and fauna system. It lies along two ranges of mountains on both sides, forming the lush central valley spotted with the ethnic villages and the spacious area of agricultural land. About the name of Pu Luong, in Thai language, it means “the highest summit of the village.” The landscape is truly beyond words and imagination. 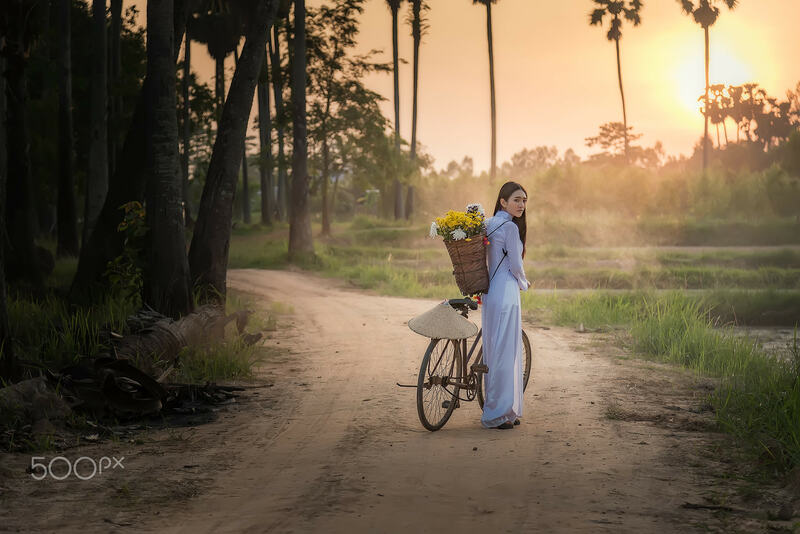 Indulge in the atmospheric and romantic Pu Luong Retreat, you should be surprised how far you are away from the modern life: no air-conditioners, no televisions, no fridges, and no modern entertaining services. There will be only you left amidst the landscape filled up with forests, farmlands, limestone mountains, and valleys. However, wifi is available for you to unlimitedly take shots of the infinite beauty and post them on networks. 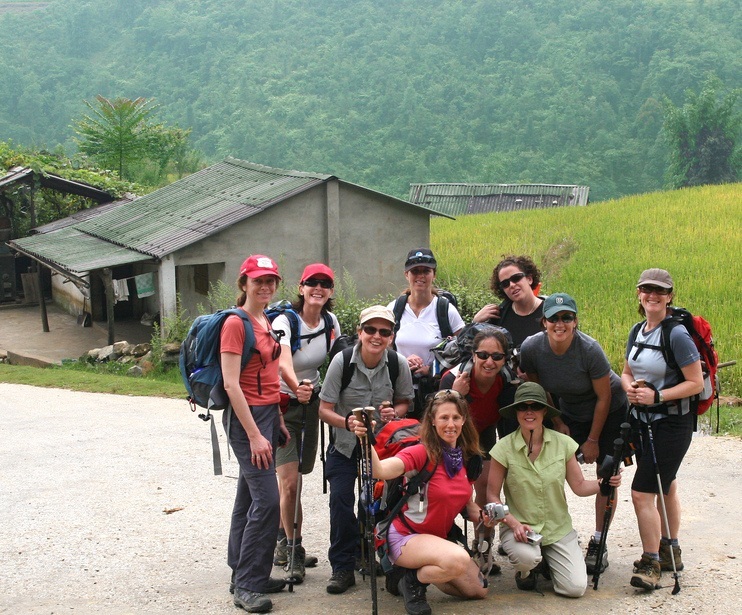 All activities offered by Pu Luong Retreat are associated with nature and life discovery: trek stunning trails through traditional villages and splendid rice terraces, experience bamboo rafting, kayaking, ride on thrilling bike trails, camp in the fresh outdoors. Pu Luong Retreat organizes activities in different levels which nowhere else can be found and nowhere else to be tried. There are places and trails waiting for you to be discovered! You can kayak to find your ways through the beautiful river landscape, pass by the simple stilted houses, the eye-catching water wheels as well as the green farmland. 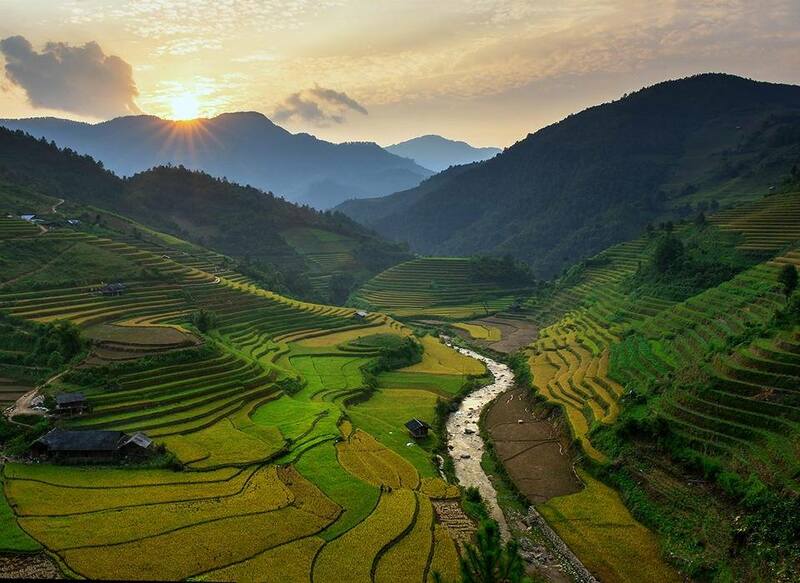 You can choose from a number of magnificent trekking routes, passing through outstanding rice terrace fields, stunning hills, and valleys and fascinating hamlets giving a glimpse of daily life. How breathtaking is this heaven? 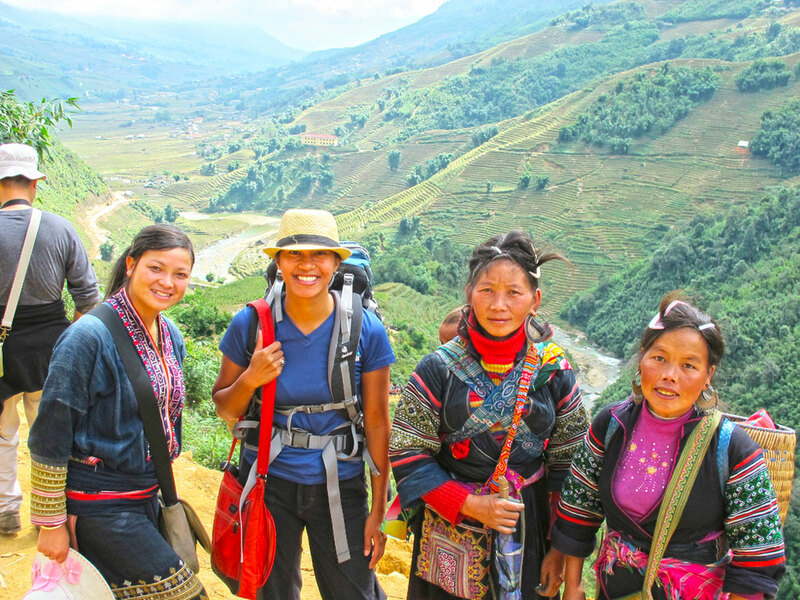 It’s truly a microcosm of northern Vietnam, showing Sapa’s magnificent mountain ranges, Mu Cang Chai’s stunning rice terrace fields, Cao Bang’s scenic rivers and waterfalls, Ha Giang’s breathtaking mountain passes, and Mai Chau’s remote traditional villages of ethnic minorities. But it doesn’t resemble them all. Pu Luong Retreat doesn’t “copy and paste” the above scene. It is majestic in its own glory and charming in its own unique atmosphere. Pu Luong owns high elevation and extensive ranges of the tropical evergreen forest, which is ideal for eco-tourism. And therefore, it will be a perfect holiday destination for family vacation, groups of friends, and lover couples. Families or lover couples can choose to stay in Dulex Bungalow nestled on a hillside, offering the stunning view of the whole area. So when you wake up early in the morning, you will catch an enticing scene over the valley which is covered with mist, making the glow of sunrise looming behind ranges of green mountains. A really romantic and fresh feeling will then make your day an impressive beginning. Comfortable and luxurious Deluxe Bungalow at Pu Luong Retreat has authentic wooden furniture. The balcony of Dulex is where you can look over the spectacular terrain of Pu Luong. Even from your bed you can enjoy the panoramic view. At sunset, you can sit on the balcony of Dulex Bungalow, chilling a cup of coffee, watching the sun going down, clouds freely flying, mountains turning dark, feeling fresh breeze gently touching your skin, there’s definitely nothing more wonderful. The Puluong Retreat price: Sunday – Thursday: vnd1,400,000 ($62.4), and Friday – Saturday: vnd1,700,000 ($75.77). Suite Bungalow contains more value than the other bungalows. The bungalow has the largest panoramic view of 270°, with the whole valley in front, infinity pool view on the left and the rice terrace fields on the right. The last side is a small garden where guests can enjoy the luxurious outdoor bathtub in the middle of nature surrounded by plants and trees. The bungalow is built around two big jackfruit trees. One is situated on the balcony while the other is located in the restroom. The bungalow and the trees create perfect adaptability to nature. The Puluong Retreat price: Sunday – Thursday: vnd 2,200,000/night ($98.06) and Friday-Saturday: vnd 2,500,000 ($111.43). Moreover, Pu Luong Retreat offer groups of travelers a house on stilt, ideally arranged for a group up to 20 people. A traditional and large house on stilt with international standards divided into two wings. Each contains 4 bedding areas, set up as twins or doubles on request. During the day time, the entire house is at opened status, guarantee in-house scenic view from the window and commodious space. So it must be a unique stay experience. The Puluong Retreat price: vnd 320,000/person/night ($14.26). Most fascinatingly, to PuLuong Retreat, you will get the most comfortable feeling when indulging yourself in the infinity pool with natural cool water, no chlorine, no chemical like other pools. Besides all adventurous activities, just relaxing and doing nothing next to the pool is great too. In the afternoon, to enjoy the peaceful atmosphere, you can relax with a glass of wine at the pool. Or read books on the swing beds, then walk on the hillsides inhaling the breath of nature. The swing bed is really weird to restfully lie down, feeling your inner peace. “It’s a magical place in the mountains where time seems to have almost stood still. 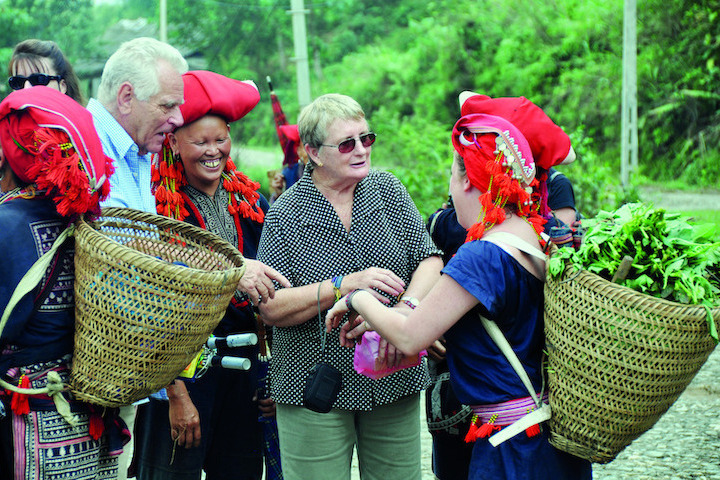 Walk through unspoilt landscapes where farming is still carried out in the traditional way and cars are not seen!” A visitor shared his feelings about Pu Luong Retreat. How to get Pu Luong Retreat ? With the renovation and building of new roads, Pu Luong Retreat is easily reached overland. You can go by coach or taxi to get Pu Luong. The price will fall around vnd200,000 – vnd250,000 ($9 – $11.5). 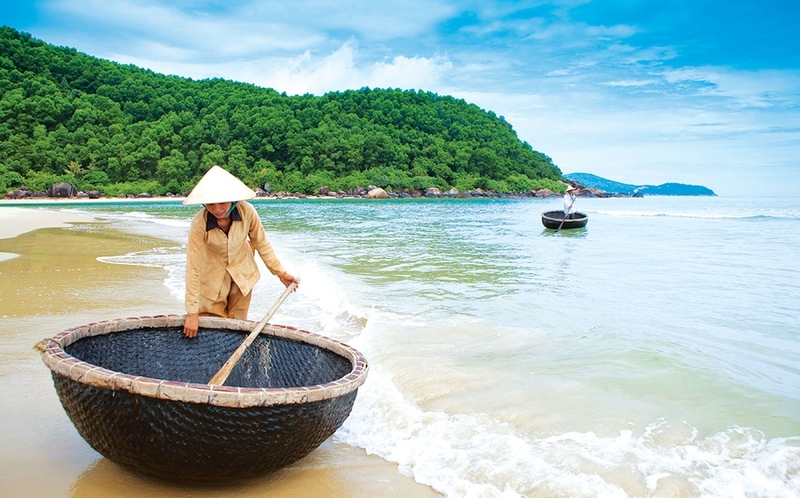 Don’t skip a single interesting activity to explore Pu Luong at its most. You should pre-book your meals at least 1 day prior to your arrival because they need time to prepare. The number of rooms is finite, 8 bungalows and 1 house on stilt. So pre-book your room to make sure you’ll have a wonderful time there. Now, you can check rates, reviews, availability & booking for this resort on Agoda.com or Booking.com. The best time to visit Pu Luong is during rice harvest season, from September to November or February until May. This time, the plantation is lush and weather is pleasant. Pu Luong can be best accessed either from Mai Chau or NinhBinh. 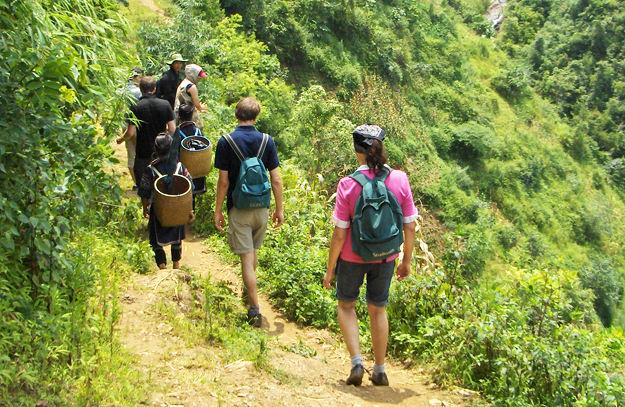 Multiple day trekking through va to Pu Luong on the least visited trails is also a good option for trekkers. 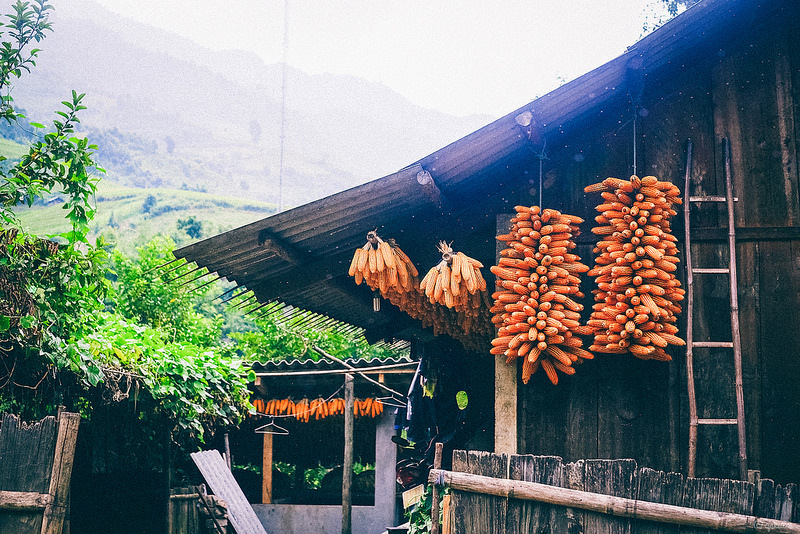 Trekking through villages including Ban Sai, Ban Hang, Ban Kho Muong or Ban Hieu and stay in one of the authentic homestay is the best activity one can do here. There are options for everyone including families with small children. The distance from Hanoi to Pu Pu Luong is about 210km and take 4 hour drive to reach Pu Luong national park by bus or private car transfer or book a private local guide, for 6 days (5 nights) tour in Pu Luong – Mai Chau with cost 65$ a day for private tour. It reduces to 50$ a day for 2-4 people. Sometimes with private tours like this you also have to pay for your guide’s food and board, so check that. A bed in a homestay, with dinner and breakfast should cost no more than US$10 / night.